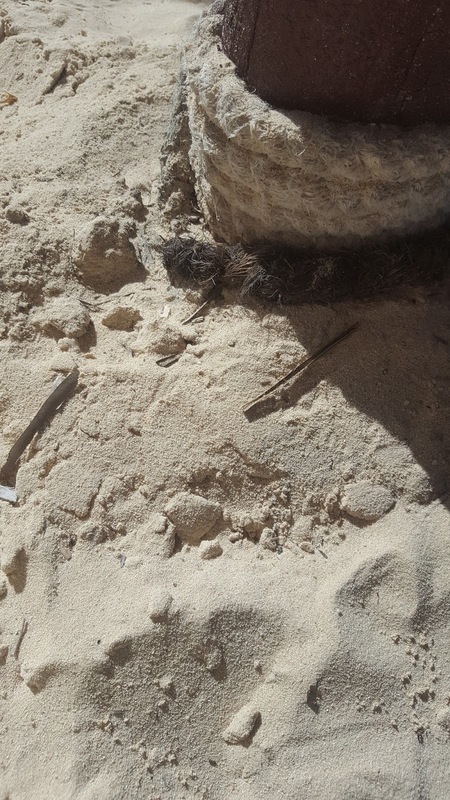 As I told you on my last post here, we headed to Punta Cana on vacations with the hopes of a paradisiac place to rest. 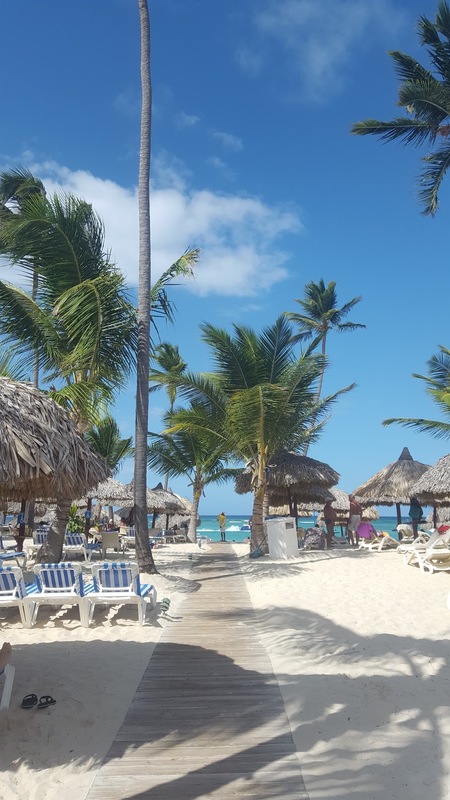 Our main goal was to do nothing at all so we were looking for some resorts with all-inclusive that could suit our needs. Since B. already knew the reputation of Bahia Principe Hotels and Resorts we started by checking the availability of their resorts. 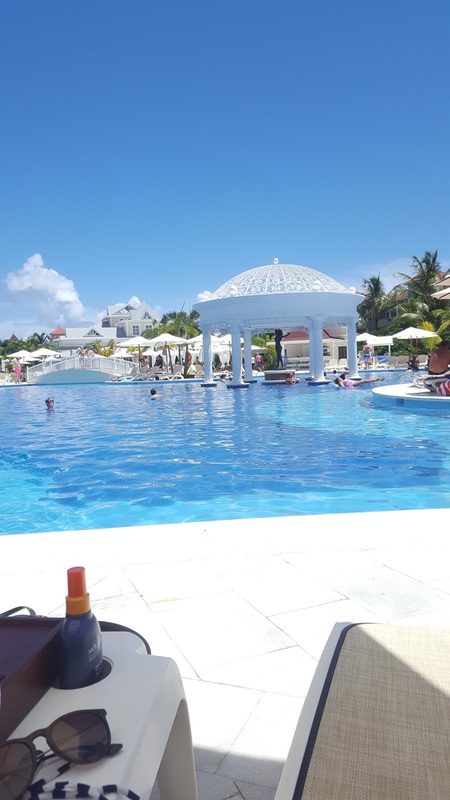 Since relaxation was what we most wanted, we were picky enough to see only Adults Only hotels and narrowed it down only to the Luxury Bahia Principe Resorts 18+. 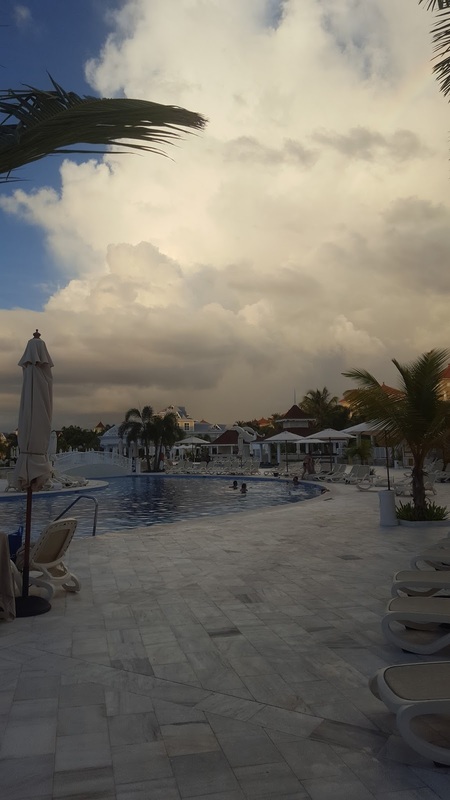 Obviously, we started checking out some other hotels like Catalonia, Riu and Barceló but at the time Bahia Principe had the best quality/price ratio so we booked our vacations. 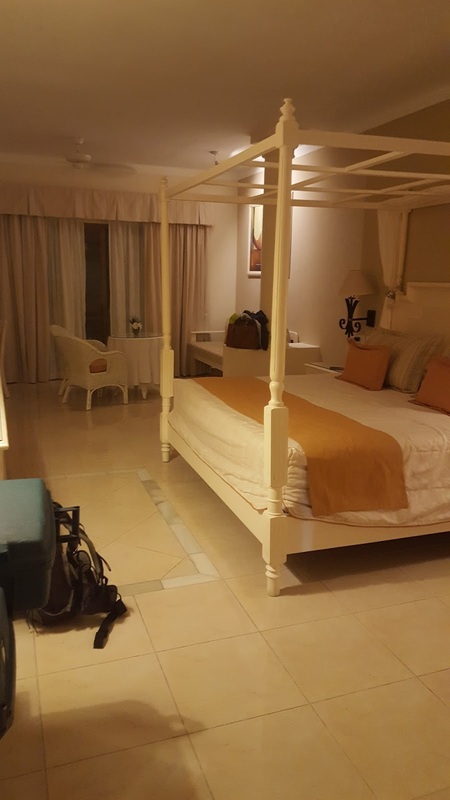 So we booked our vacations for Luxury Bahia Principe Ambar Don Pablo Collection (which is now called Luxury Bahia Principe Ambar Green) for the fair amount of 1223 euros for 2 people per 7 nights. We requested a room near the main pool and closer to Arena Gorda Beach and we also asked for a private shuttle from the hotel which cost us only 66 euros with return included. As soon as we arrived to the airport, we had a resort's shuttle waiting to take us to the resort. The driver was very nice and approachable and did gave us some more knowledge about the country. We had a calm 45 minutes journey from the airport to the resort and we arrived there almost at 10 pm. This was my first time in a resort so when we got there I was so amazed with everything. The architecture, the decor, the stafff, everything was so perfect and nice. At the lobby while we were doing the check-in, we had a cocktail and the staff explained all we needed to know about the resort. Unfortunately, there was a problem with the room we booked so we were moved to a different building far away from the beach but near a second pool. We were happy with this change since it was in a more quiet location and with new buildings and brand new rooms. The rooms are really big with a king size bed so so comfortable! All rooms are equipped with a flat screen TV, mini-bar, living room with sofa bed, safe and a balcony, among other amenities. Also included with your fee is the room service which is good and fast. Also, it has a full-equipped bathroom with a hydromassage bathtub, a separate shower, hairdryer and two washbasins. First thing we did? Put on bathing suits and relax in the jacuzzi right accross our door since it was really hot outside and we needed to relax after the long flight. We asked for room service that night and believe me it tasted like perfection. With our booking we also got access to 6 different restaurants to dinner during our stay and I highly recommend you to use and abuse it. 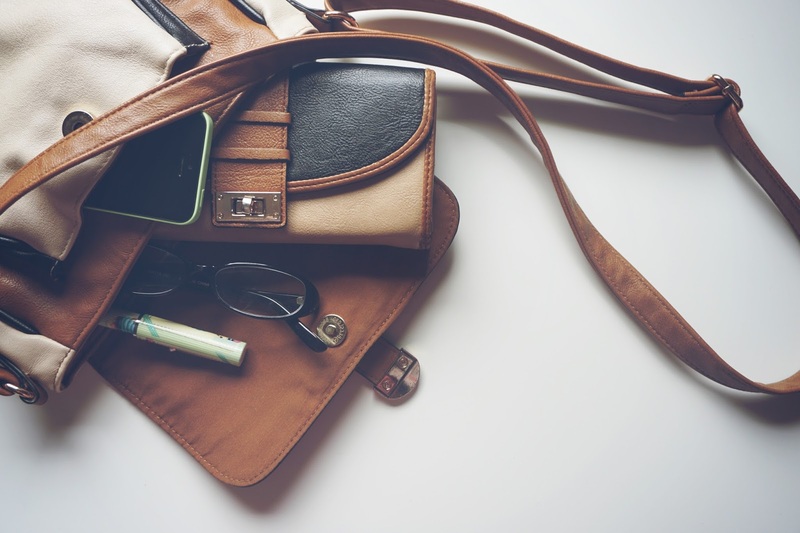 Although they have a wide variety of different food at their buffet restaurant, it can become tiring to always have the same options every day. 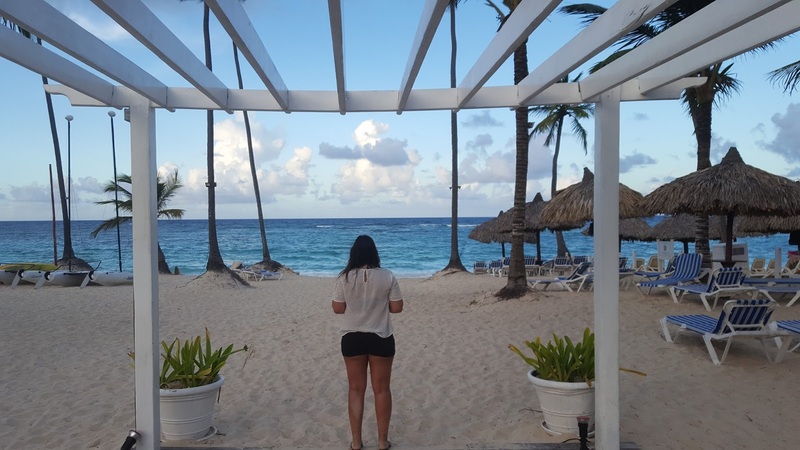 During our stay we booked Bella Italia, El Olivo, Maiko, Arrecife, Tex Mex and Los Corales, but we did skip Tex Mex because it was my birthday night and we went for something different. All their restaurants are different and all of them are really good but please don't miss El Olivo and Maiko, these two are just awesome and were definitely our favourites. While El Olivo is a gourmet restaurant where you truly have a luxurious experience and where you are presented with new flavours, at Maiko you can get either a Tepanyaki dinner show or relax in à la carte regular table. While we were on the resort we didn't much more than eat, swim, sun bath and drink. There are tons of available excursions but we didn't want to lose a day roaming around by bus or boat. 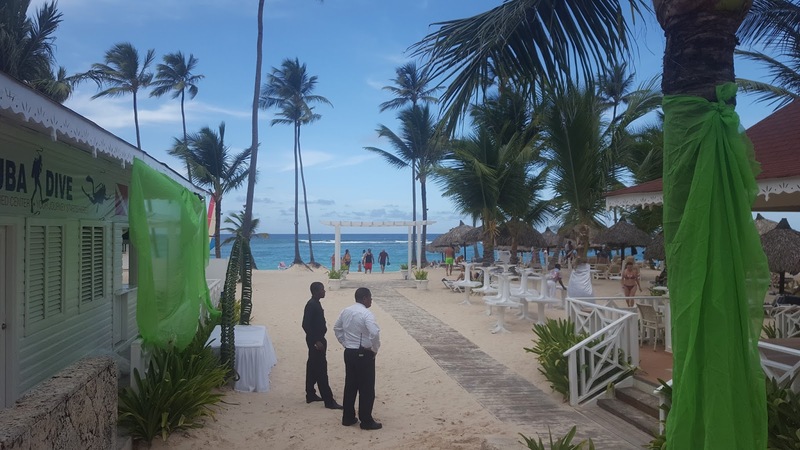 Anyway, when you book a reservation through Bahia Principe website you will be linked to Soltour travel agency and they always book a meeting with you on the first day to present you all the excursions you may do and how much it will cost you to do it. One thing for sure is that the resort is very organized! Diving lesson in the pool. The resort has two pools, each one in a different part of the resort. The pool nearer to the beach is usually where they provide animation and where different music plays. Besides all of this, you can enjoy the amazing cocktails of your desire or you can try the cocktail of the day, since they always have one different everyday. Room decor for my birthday! One thing you can definitely expect by staying at this resort is to meet with very nice and hardworking people. Since my birthday was in the middle of our vacations, B. organised an amazing surprise with the help of our butler James. When I arrived to our room, I had a ribbon accross the door and some balloons. 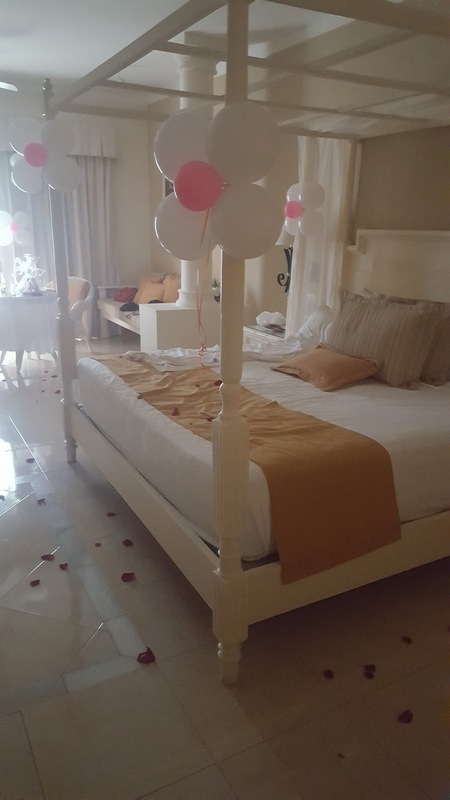 Inside, there was a bath ready for me to take and rose petals spread accross the room and bed and also a cake with my name on and champagne for us to celebrate! This definitely did my day and I couldn't thank them enough for it. Check some more of the pics I took righ below!